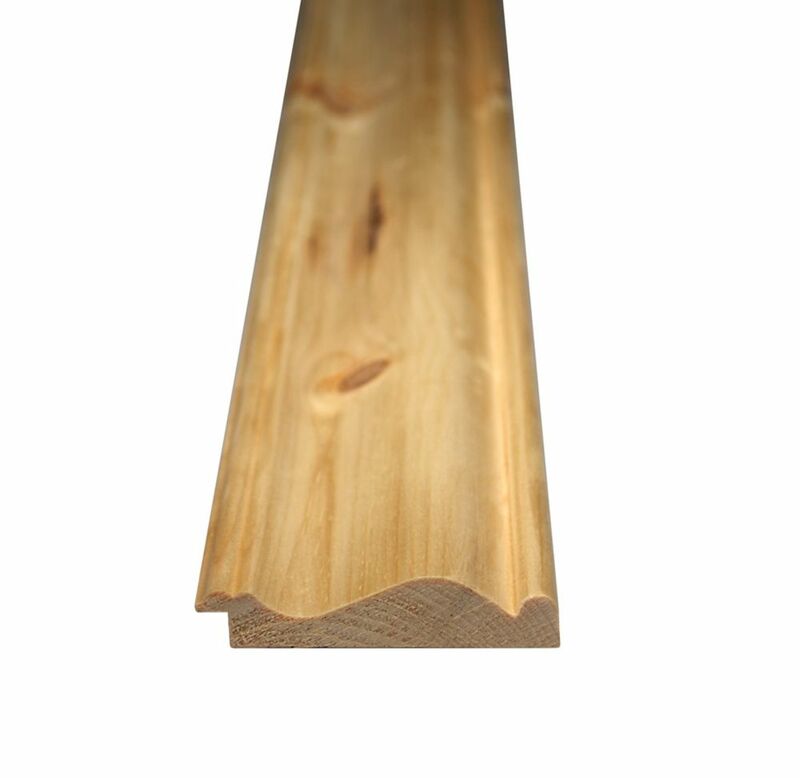 Alexandria Moulding Knotty Pine Wainscot Cap 9/16 In. x 2-5/8 In. x 96 In. The finishing touch to a job well done on a wainscoting project. It is used to cover the top edge of Wainscoting or paneling for esthetic purposes. Other monikers include the terms Dado Cap or Ply Cap. Create a tiered level of design opportunities and possibilities by installing your ply cap, parallel to baseboard, on top of paneling or wainscoting to add a decorative flair to the lower portion of your wall treatment. Tap your imagination and let your creativity flow into the room! These complimentary mouldings create a distinguishing look and feel to most baseboard applications by turning the ordinary into the extraordinary! Construct a custom crafted pattern utilizing a relatively inexpensive detail moulding. Base caps are installed on top of a simple flat board to architecturally enhance the rooms appearance. The base cap will sit flush against the wall on top of the flat board to add height, depth, and decorative style. Can also be used as versatile Panel Moulds to conceal uneven floor and wall junctions. Knotty Pine Wainscot Cap 9/16 In. x 2-5/8 In. x 96 In. With an ancestry dating back to 19th century Victorian England, this classic wainscot design has outlived many other stylish fads. Beadboard wainscot is traditionally used in foyers, bathrooms, hallways and less formal gathering spaces of primary residences, cottages, and vacation homes. This easy to install wainscot system recreates this authentic look and feel in as little as several hours. Perfect for a weekend project idea! Knotty Pine Wainscot Cap 9/16 In. x 2-5/8 In. x 96 In. is rated 5.0 out of 5 by 1.